The Cascadia Action Team (aka WildCAT) is Cascadia Wildlands’ action oriented volunteer group. WildCAT general meetings occur monthly, and members of WildCAT participate in a wide range of actions including educating, agitating, lobbying representatives, groundtruthing timber sales, and submitting formal comments to oppose proposed industrial projects. 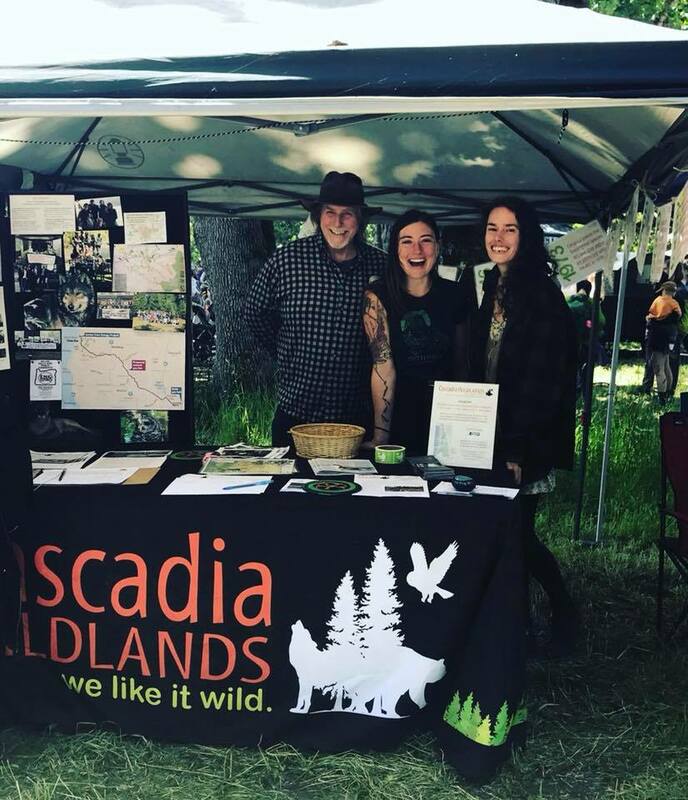 WildCAT members also run our outreach table at community events such as the Mushroom Festival, the Public Interest Environmental Law Conference, the Oregon Country Fair, the Northwest String Summit, and the Whiteaker Block Party. There are countless ways to get involved and we are always seeking dedicated, reliable and passionate folks to become part of our WildCAT team! Get connected with WildCAT at our next meeting: Wednesday, April 25, 2019 6-7:30pm at the Cascadia Office, 120 Shelton McMurphey Blvd, Suite 240, Eugene. To learn more and get involved in WildCAT, contact our Grassroots Organizer, Sm Krop, at sam(at)cascwild(dot)org and sign-up to be put on the WildCAT email list to receive program work updates and opportunities to get involved. 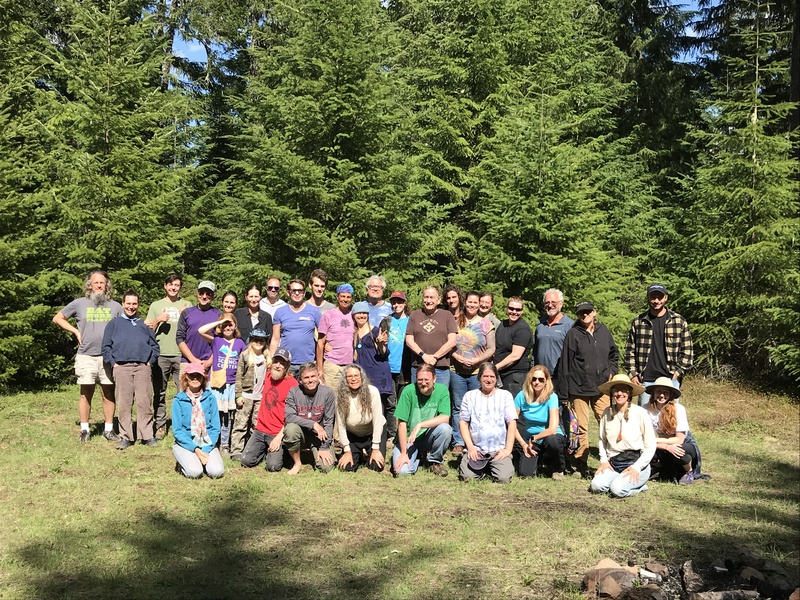 WildCAT field-checking trip to Breitenbush Hot Springs and surrounding area, 2018 (photo by Cascadia Wildlands). 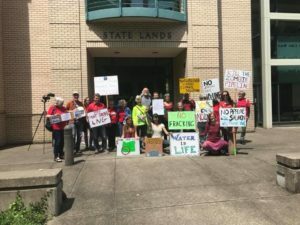 WildCAT “No LNG Rally”, 2018 (photo by Cascadia Wildlands). Volunteer at the Wonderland Auction!